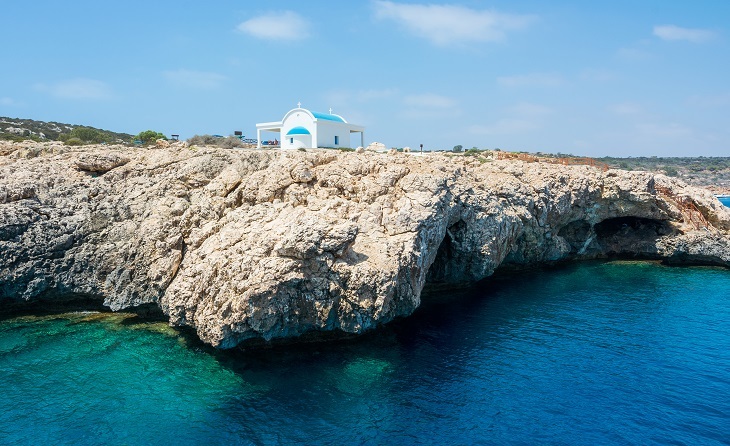 A Gorgeous Day in Cape Greco National Park: 10 Things You’ve Got to Do! With various signposted nature trails weaving through the area, there really is no better time than spring to put your best foot forward. 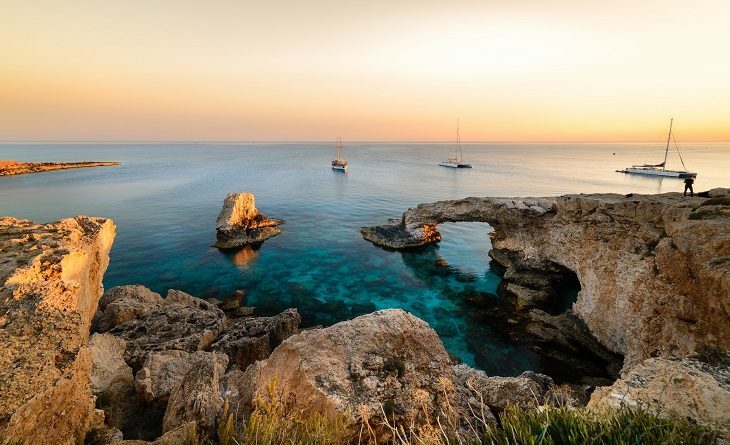 One of our favourite walks in the area – named Agioi Anargyroi: Thalassines Spilies (Sea Caves) – starts off at the whitewashed chapel of Agioi Anargyroi and takes you all along the coast and the spectacular sea caves, as you pass by the ‘Kamara tou Koraka’ natural bridge. 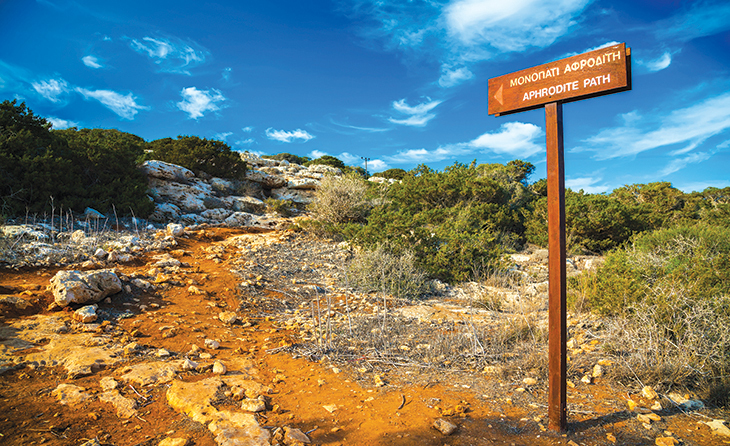 The walk will take you about an hour and a half to complete, while the short circular Aphrodite trail (about 3km long) also makes for a great walk, taking you along the magnificent coast. And if you fancy a bit of a challenge, there’s also a circular sea caves route that will also take you about an hour and a half to complete, but this one will take you past a few craggy and bumpy peaks that are rather steep. It’s all worth it though, with spectacular views all around. 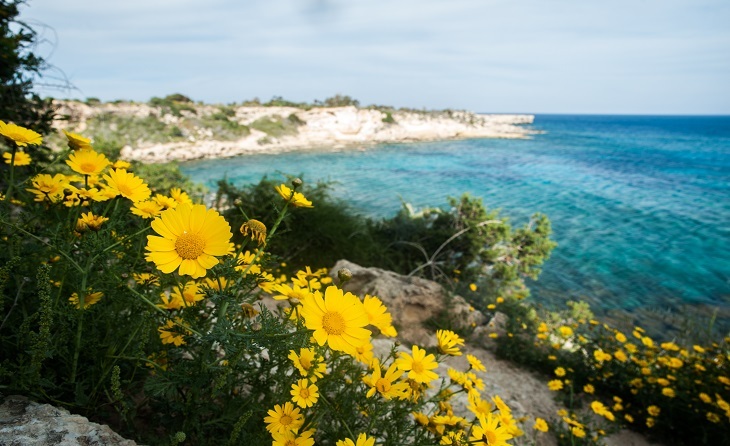 For something a little different, the ‘Kavos’ trail, which sets off from the old quarry parking area, gives you the chance to spot plenty of marine fossils, while a unique vantage point will give you the chance to take in fantastic views, as far as Stavrovouni Monastery on a clear day! Although the walk only takes 45 minutes to complete, be warned: you will need a bit of stamina. 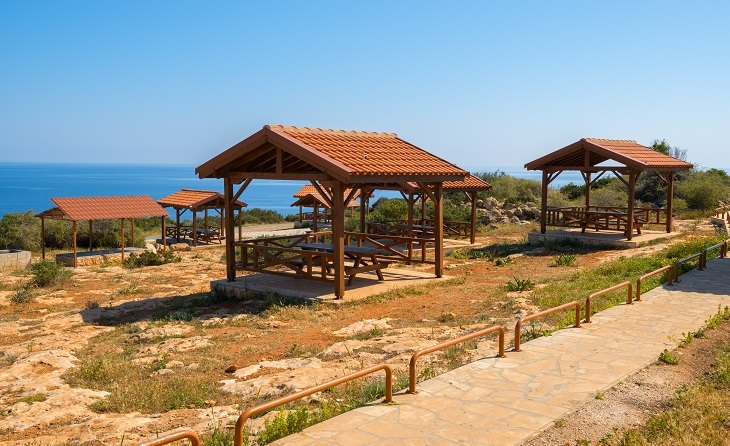 If there was just one picnic site in Cyprus to be given a gold medal, chances are, it would be this one! One of the finest spots you can ever choose to enjoy a bite to eat on the island, make sure you pack some goodies with you before you set off for your day in the park and once the hunger packs kick in, sit back at one of the picnic tables while you gaze out across the dreamy waters. And if you fancy painting, writing or just doodling, there really is no better place to unleash that creative streak! Love nothing more than exploring the natural world on two wheels? Then take your bicycle down to the area and enjoy a magnificent ride through the various designated cycling trails that weave through the park. Luring visitors from near and far, visit this gorgeous whitewashed chapel that claims pride of place as one of the few buildings in the park with its rather magical location luring couples from near and far who choose to wed here. 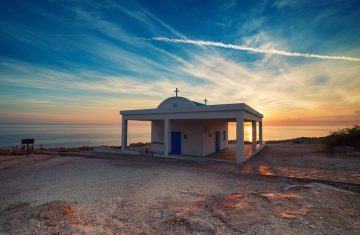 When you’ve had a look at the chapel, walk down the nearby steps that take you to the sea and into a cave that used to be a shelter for fishermen and where holy water is said to run. 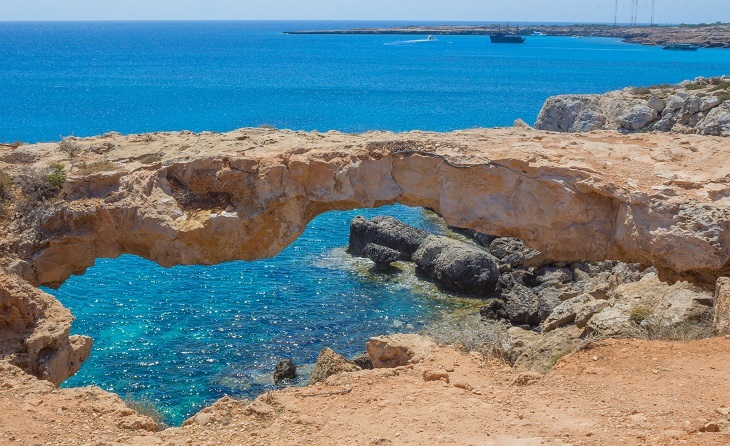 Home to one of the most stunning natural bridges on the island, ‘Kamara tou Koraka’ is a real natural masterpiece, and the area around the bridge is one of the most popular spots in the National Park for picture taking and romantic walks – especially popular with newlyweds who often head here to have professional photos taken. 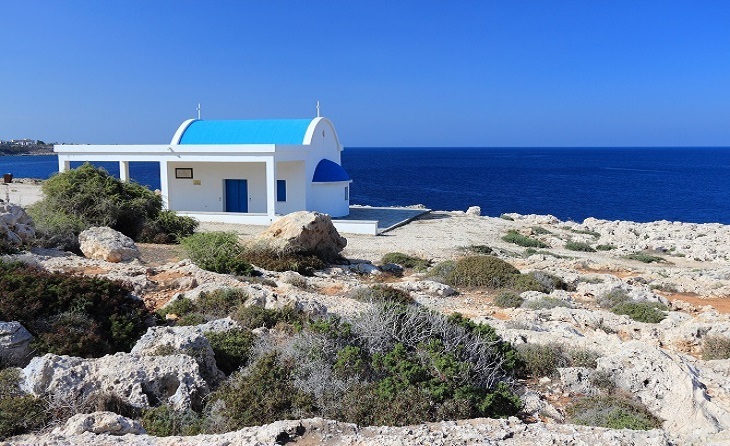 Did you know that years ago, Cape Greco was actually covered in forest? While things are rather different today, some people mistakenly assume that there isn’t much to see at Cape Greco apart from the rocks and caves which make the area unique. But fact of the matter is, there are about 400 species of plants to spot, with about a dozen of these considered extremely rare. With the whole area covered in low vegetation and shrubs, Juniper and various varieties of pine can still be spotted in the area, with flowers reaching up for the sun in the springtime. Aptly named ‘Palaces’, the sea caves of the area are one of the most photographed spots on the island, drawing in crowds from near and far. The deep passages into the cliffs are rather phenomenal, with some cutting as deep as 80 metres into the rocks, with many choosing to paddle with a kayak through the coves and caves, while others are daring enough to make a plunge and jump into the waters from above. But if you’d really like to kick back and relax, nothing beats a boat trip which gives you the chance to take in the beauty of the coast from afar. 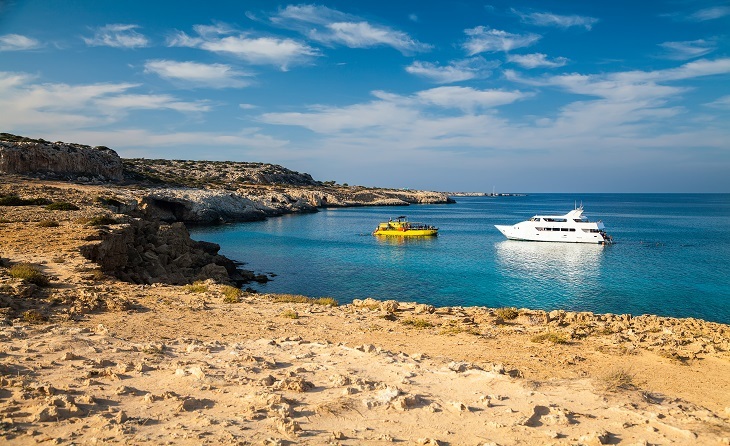 There are a number of companies offering boat trips around the area – often travelling around much of the East coast – with some good choices including Dolphin Boat Safari, Ayias Trias Cruises. If a boat trip isn’t quite your thing and you prefer actually being in the water, the area is also a paradise for diving and snorkelling. 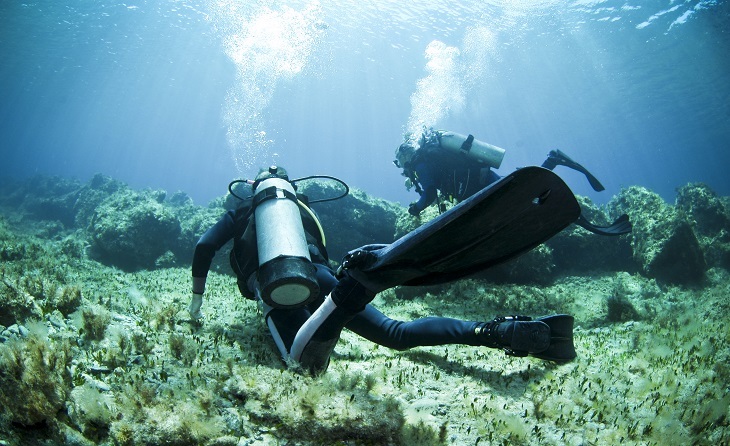 Rich in marine life, it’s one of the nicest areas of Cyprus for an underwater experience with great number of companies taking you on adventures including Olympian Divers, Aloha Divers and many more! 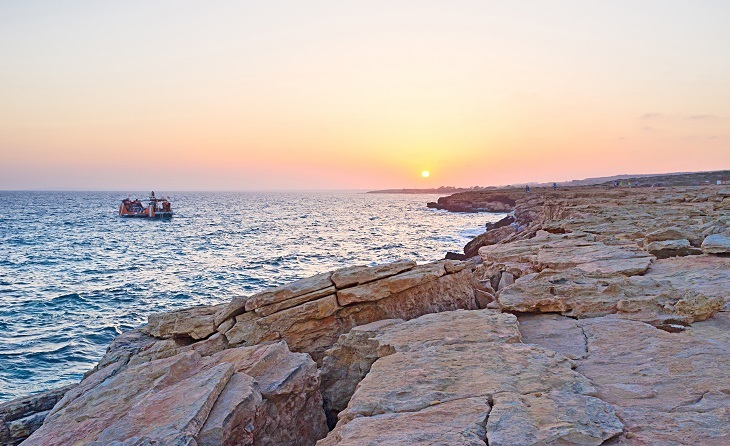 At the crossroads of three continents, Cyprus has always been a pivotal point of reference for seafarers since ancient times and it’s advantageous position means it was actually one of the most ancient nautical centres. 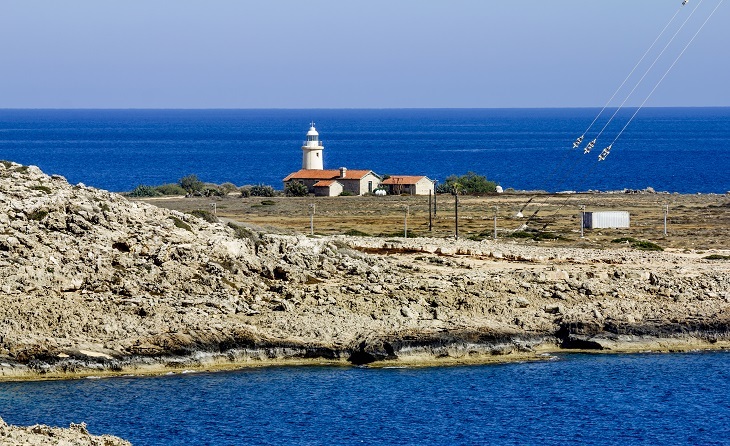 The lighthouses on the island today date back to the last quarter of the 19th century, built during British rule of the island, with the Cape Greco lighthouse being the second to be erected on the island (following the one built in 1888 near Paphos port and castle). 10. Last but not least…watch the sun go down and take in the glorious views! With numerous benches inviting you to take a seat in the park, nothing beats ending your day with a gorgeous sunset, as you kick back, look out to sea and make the most of the stunning and rather breath-taking beauty of the area. 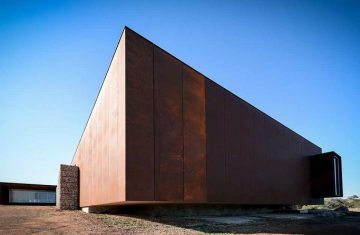 Category: Ayia Napa & Protaras, City Life, Cyprus Uncovered, Featured, General Interest. 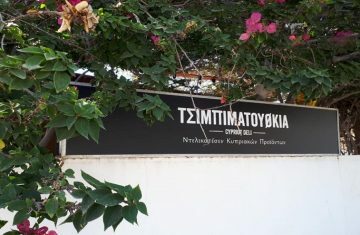 Category: Ayia Napa & Protaras, City Life, Cyprus Uncovered, Gastronomy. 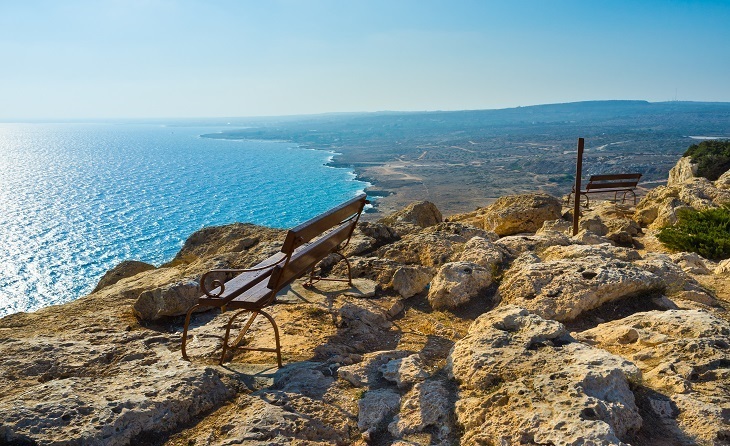 Category: Ayia Napa & Protaras, City Life, Featured, History & Culture.